Magical print that when it gets wet, the vibrant colours come through on the panels. 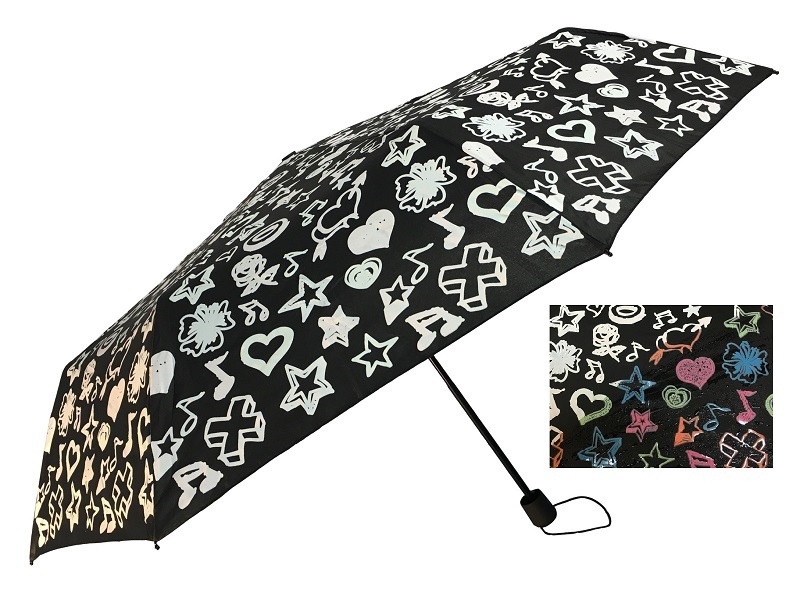 This folding umbrella has very strong construction for windy conditions. The resin ribs make this nearly indestructible.